WCPFC13: For real progress, deal with Southern Albacore, risk levels for all tuna species, says Solomons. ...Solomon Islands would like to take this opportunity to acknowledge the work of the Chair and WCPFC Secretariat who have so ably directed the work of the Commission over the last 12 months. We recognise that this is a very challenging task due to the sheer size of the Commission and the different interest of members. 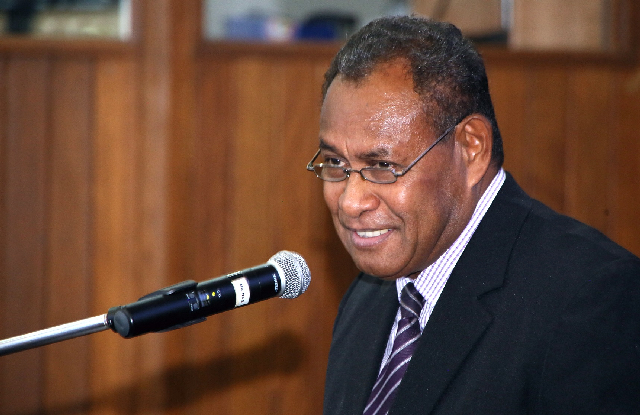 A full report of proceedings has been cleared to member countries, with an appended Statement of Outcomes highlighting the key elements of the three-day meeting of Pacific judiciary and fisheries officials, chaired by Solomon Islands Chief Justice Sir Albert Palmer. ...PROP represents a significant investment of scarce funds for Solomon Islands and, for my part, I will be charging the Ministry of Fisheries and Marine Resources with seizing this great opportunity to ensure that we do better manage and develop our fisheries resources to the sustainable benefit of our nation and people. With tuna as the second biggest export earner in the Solomon Islands, data of tuna catch and other fishing related activities within Solomon Islands EEZ must be recorded and managed in proper systems and procedures to inform the Government to make decisions that ensure the long term sustainability of the tuna industry. HONIARA, SOLOMON ISLANDS, 18 FEBRUARY 2008: FFA Staff today delivered a donation for Solomon Islanders affected by recent flooding. The donation, from FFA Staff members, was SBD 7000 worth of food and basic supplies which will be delivered by the National Disaster Council to flood-affected communities.